← See what You can Make in The STREAM Lab, the Library’s Makerspace! 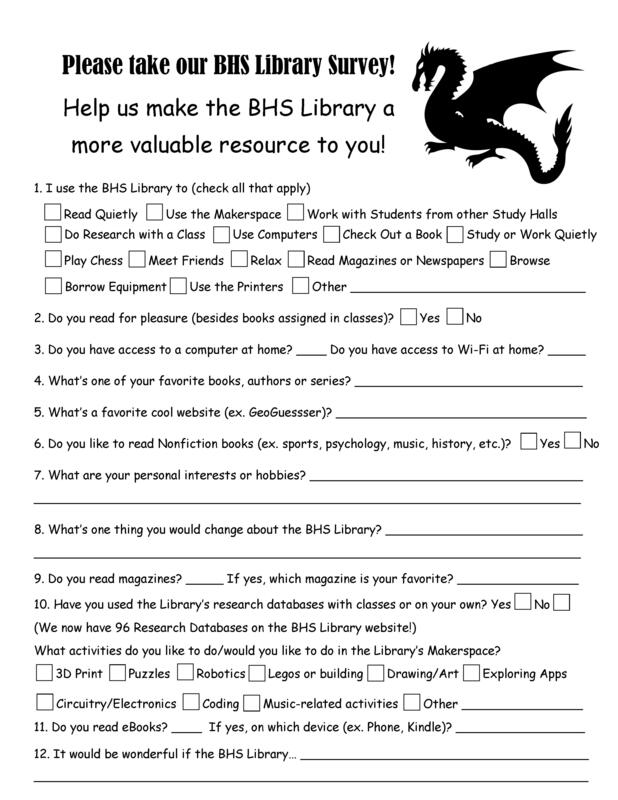 Please take our 2019 BHS Library Survey! 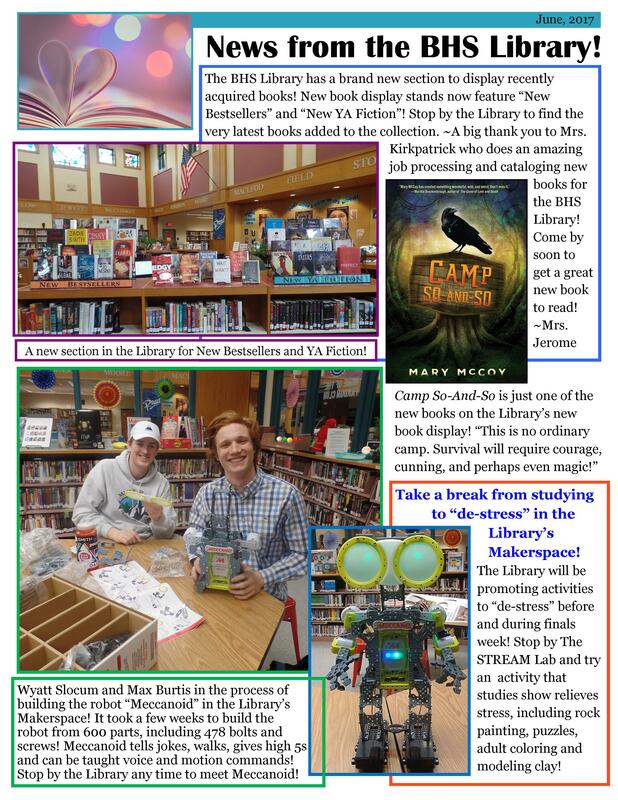 Stop by the Library and take our 2019 Survey! Leave your survey in the blue box at the Circulation Desk! 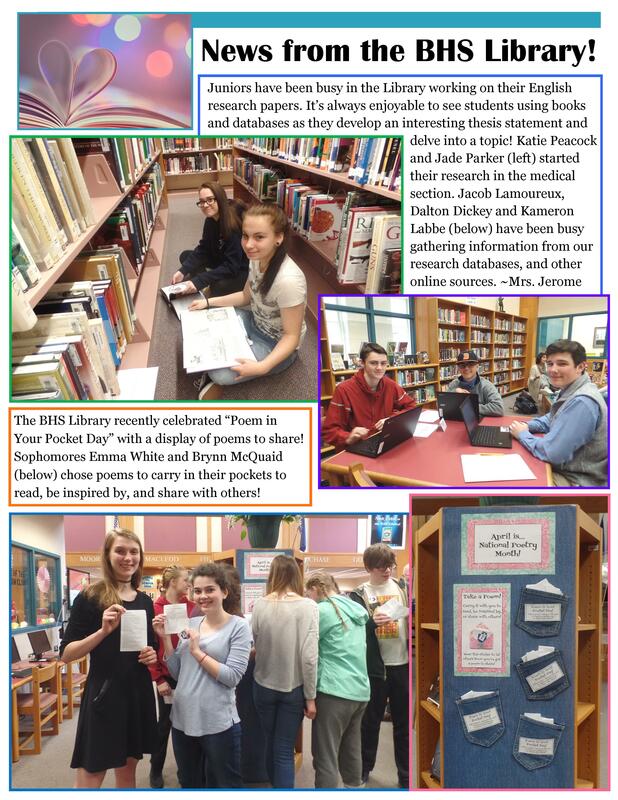 Please help us make the BHS Library a more valuable resource to you!